Here's my next project. B's sister asked me if I could make her the poncho wrap on the left. 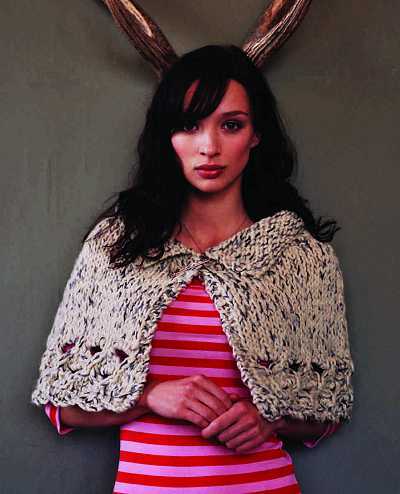 It's actually from the Anthropologie catalog and is hand-crocheted. However, the thought of trying to create the pattern isn't so appealing to me. So, I wanted to try and find a pattern first. I really like this pattern from the Rowan Ribbon Twist Collection. It's not out at any of my LYS yet, so I'd have a wait a while before I could get started. Meanwhile, there's a huge 40% off sale at Fabric Depot this weekend to distract me!